Digital marketing is changing! This is obvious, but the pace and the twists and turns have been surprising to say the least. 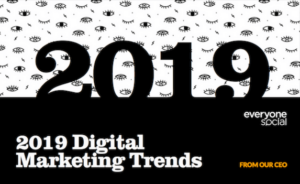 We compiled this ebook to do two things: pull together all of the things that we think are going to change in the world of marketing over the next year and to give some thoughts around how employee advocacy is now--and will continue to be--a major factor to digital marketing.